Whether you have a long commute, a desk job that ties you to a computer for most of your day, or just like the idea of being entertained and informed without taking too much of your attention, podcasts (like audiobooks and talk radio) are a great way to go. 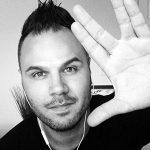 Here’s a list of some of some of my favorite Star Trek podcasts. 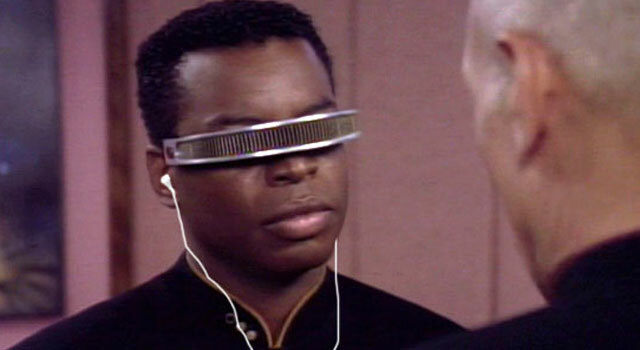 If you’re a Star Trek fan and listen to podcasts, you’ve probably heard of or listened to Trekcast. While they don’t produce new shows as often as they used to (at one point, these guys used to pump out two episodes a week), it’s still a fun and informative listen when new episodes do arrive. 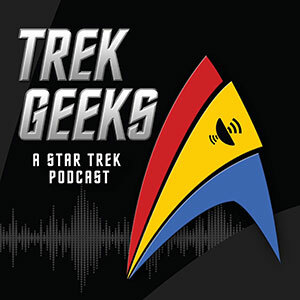 David along with his wife Alicia and former Quark’s bartender Darren host the show and give friendly insight and opinion on the latest goings-on in the world of Trek. Hosted by Chris and Charity Wood who run the popular Star Trek blog Subspace Communique host the show. 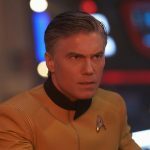 Each episode they interview a former Star Trek personality to reflect on their time in Trek anddiscuss what they’re doing now. 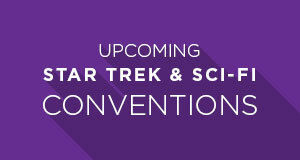 Past guests include Tony Todd, Aron Eisenburg and Larry Nemecek. 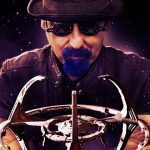 The one and only(as far as I know) podcast dedicated only to Deep Space Nine. Each week, the hosts of The Gamma Quadrant Ryan, Valerie and Seth reflect on a single episode of DS9. The show is currently in the middle of season four. More than just Star Trek, each week the hosts of SciFi Diner Scott and Miles report on just about everything in the world of science-fiction TV shows, movies, books, and more. They often have celebrity guests on the show for interviews and insight. 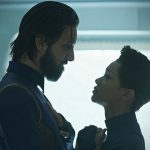 Another great weekly podcast that isn’t hyper-focussed solely on Trek, but instead covers the entire genre of sci-fi TV and movies. Hosted by Rico (along with occasional guest hosts), Treks In Sci-Fi is a fun and friendly listen every week. 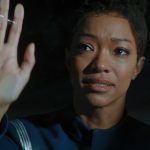 Make It So is the first Trek podcast I started listening to back in 2007. After a brief hiatus, Richard Smith and his co-hosts are back, taking a friendly and conversational look at all things Star Trek. Bonus points for the wonderful British accents. 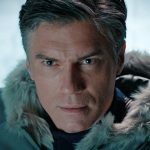 Each Thursday, Hyperchannel, a beautifully produced video podcast from the folks at Trek.fm take a quick look at some of the biggest news in the Star Trek universe. While not a Star Trek-focused podcast, StarTalk, hosted by Astrophysicist, author and host of NOVA’s scienceNOW, Neil deGrasse Tyson and comedian Lynne Koplitz discuss the latest news in the world of science and astronomy in a comedic and friendly style. There are however, some great Star Trek references in most episodes. Past StarTalk guests have included John Stewart, “Bad Astonomer” Phil Plait and John Hodgman. Know of another great podcast you think deserves to be listed? Leave a comment and let us know.